Planning for your kid’s birthday bash? This yearly affair usually leaves parents cracking their brains to come up with new themes and surprises and the birthday cake is definitely a highlight of the event. If you are buying a cake to celebrate in your kid’s school, it is always recommended to prepare a cake that is Halal and allergens free to accommodate most kids. I’m sure you wouldn’t wanna leave any kid feeling disappointed. The most common foods that trigger allergic reactions include egg, nuts, chocolate, dairy, soy, colouring etc. So do check back with the school if any kid has such allergy before you get a cake. 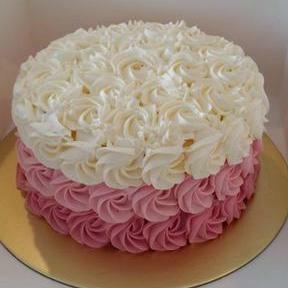 The Cake Shop offers a wide selection of eggless cakes at affordable prices. Customization and character cakes are also available for eggless options. Party bundles such as cake + cupcakes are also available. Want your cake healthy and guilt-free? At Delcie’s, they thoughtfully create healthy cake recipes suitable for the health conscious, kids with food allergies or diabetics. They even have a category specially dedicated to babies. The baby friendly cakes are eggless, dairy-free, chocolate-free and nut-free. 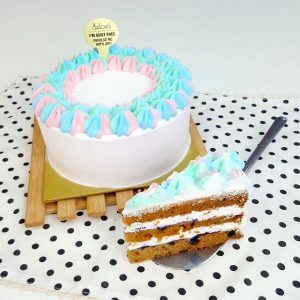 Although they do not offer Halal cake, this popular cake chain most famous for their durian cakes now offers Eggless Premium D24 Durian Cake with less sugar option. For a kids friendlier cake, you may wish to go for the Eggless Tropical Fruit Cake or Eggless Blackforest Cake. The Ugly Cake Shop pride itself in using high quality ingredients such as French cocoa and good butter and all-natural flavouring. They aren’t into fondant and prefer using buttercream especially for kids’ cakes. A plus point is that this is a bakery with a great social cause! Part of their profits goes into feeding hungry kids in Timor-Leste. If your guests can tolerate chocolate, the Zainasaurus Chocolate Cake is definitely worth trying! 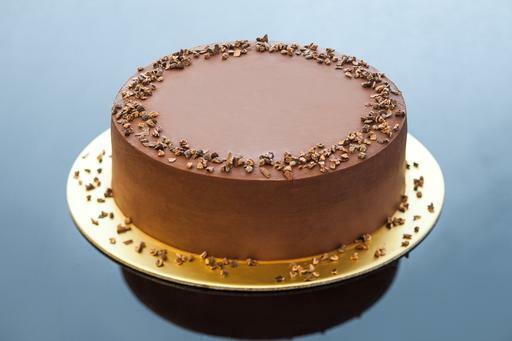 This rich chocolate cake is filled with a bittersweet ganache and topped with crunch cocoa nibs. You can opt for the cake to be vegetarian (egg-free) or vegan (egg-free & dairy-free).